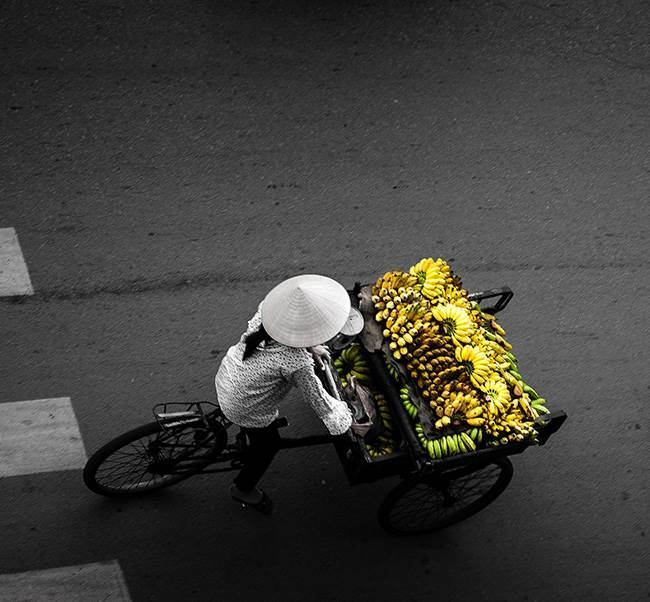 Sample some of Saigon’s best street–food offerings which taking a slow‒paced tour of the city. There’s no need to rush to Saigon’s best local eateries when you can take your time and sample them all. Your tour begins at 4 p.m. as your xich lo (cyclo, or cycle rickshaw) driver collects you from The Myst. You navigate the city’s tree-lined streets, admiring charming colonial buildings such as the Hotel de Ville, Notre Dame Cathedral and the Central Post Office. A dazzling display of tropical colours informs you that you’ve arrived at your first culinary stopover. Fresh seasonal fruits – longan, rambutan and mango – are laid out before you, enticing you to sample their exotic flavours. Queue up behind a crowd of hungry locals for a taste if Saigon’s best bánh mì (roast pork sandwich), and awaken the senses with a unique and authentic egg coffee. Your xich lo driver will return you to The Myst around 6:30 p.m.
Price: USD 40 per person (minimum two people) for a private tour.